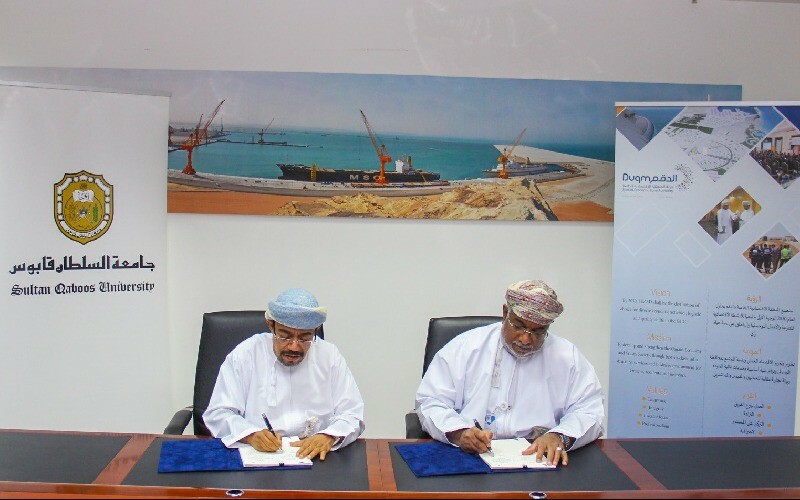 On 21 March 2019, the Special Economic Zone Authority in Duqm (SEZAD) signed a usufruct agreement with Sultan Qaboos University (SQU) under which the latter would have the right to use the land in the Special Economic Zone in Duqm (SEZD) to establish research centers in a number of fields. The signatory on part of SEZAD was His Excellency Yahya bin Said Al Jabri, Chairperson of SEZAD Board, while H.E. Dr. Ali bin Saud Al Bimani, SQU Chancellor, signed it on behalf of SQU. Under the agreement, SEZAD will allocate 20,000 square meters of land to the project. SQU will set up research centers in the areas of marine life, marine navigation, disasters and earthquakes, cultural, social, economic and industrial studies, renewable energy, telecommunications and remote sensing. The project targets different segments of academics, researchers, scientists, and students of undergraduate and graduate studies, and some public and private sector institutions concerned with research and its results. The estimated cost of the project expected to be underway in 2020 and start operations in 2022, will be about OMR 1,000,000. The establishment of the research centers is part of the interests of SEZAD and SQU to strengthen research in the Sultanate given that Duqm has many features that stimulate scientific research because of its geographical location off the Indian Ocean and its geological characteristics and nature of diverse terrain. The project will provide 50 job opportunities in the first phase and increase in subsequent years with the increase in research projects implemented in Duqm.